Manchester United eyeing Danny Ings Manchester United are planning to sign Liverpool target Danny Ings from Burnley, according to Sunday Mail. Manchester United are planning to sign Liverpool target Danny Ings from Burnley, according to Sunday Mail. 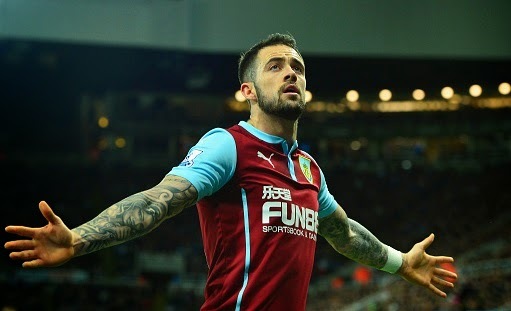 Daily Mail reported earlier today that the Red Devils are hoping to seal the deal for Burnley striker Danny Ings. Ings has been in link with several of top Premier League clubs including Liverpool and Chelsea. Also, former Manchester United manager David Moyes is keeping tabs on the player. for a summer move to La Liga side Real Sociedad. With Burnley struggling in the Premier League, currently sitting in the relegation zone with 22 points, they are likely to lose several of their star players and Ings would be one of them. The 22-year-old has scored nine goals in 25 Premier League games so far this term. United boss Louis Van Gaal is eyeing him as he has planned to offload flop on-loan striker Radamel Falcao back to Monaco. United scouts were present in Burnley's last Premier League game against Liverpool. Meanwhile, Liverpool legend and SkySports pundit Jamie Carragher advised Liverpool to sign him before someone else gets him. On the other hand, it is reported that Manchester City are also keeping close tabs on the player.